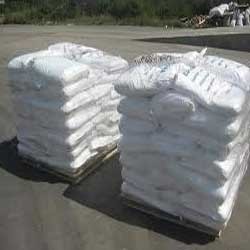 Our company is a trusted name that is occupied in supplying premium quality EDTA 4na also called as Ethylene diamine tetra acetic acid tetra sodium salt. This salt is subjected to various quality checks based on various parameters. The whole range of the given products offered by us is guaranteed for its compositional accuracy and high effectiveness. Focus Trading Company was incepted in 2010 and is operating as a supplier and trader of a wide gamut of Chemical Compounds. Our product range comprises of Food Industry, Water Treatment & Waste Water Treatment Industry and Oil & Gas Industry. These products are regarded for their accurate composition, uniform particle size and long shelf life. They are extensively demanded by paper, textile, food processing, pharmaceutical and the fertilizer making industries. We source our products from reliable vendors for maintaining the industry standards and the prevalent market trends. Our products are checked for the assurance of quality in a well-equipped quality control unit. We have a spacious warehouse and it is free from moisture and insects, thus enabling safe and systematic storage of our products. Our transportation network has enabled us to handle bulk orders efficiently and within the stipulated time period. We have a skilled group of workers and they are dedicated towards the welfare of the organization. Our clientele is spread across the country.